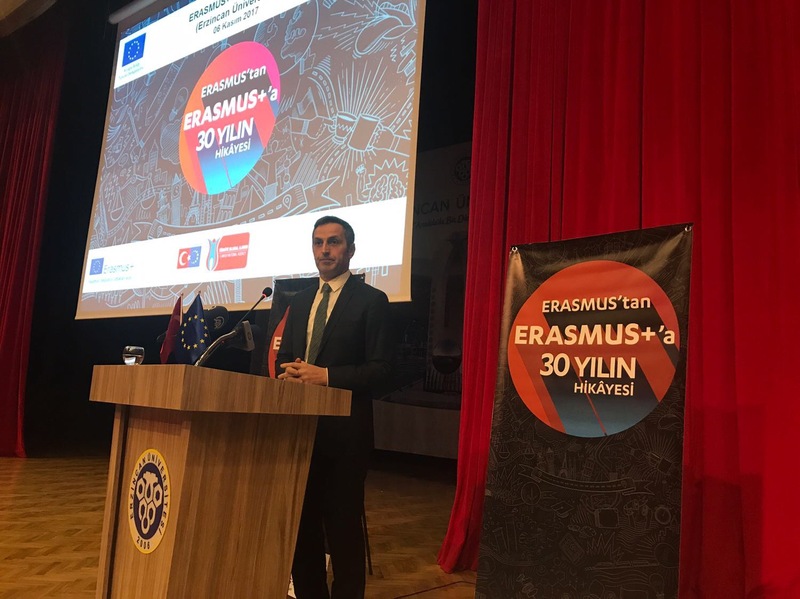 The second event of 30th anniversary celebrations of the Erasmus Programme was held in Erzincan by the Ministry for EU Affairs in collaboration with the EU Delegation to Turkey and the Turkish National Agency. Higher education students from Erzincan University and neighbouring universities, programme beneficiaries, academicians, representatives of NGOs, experts from local authorities of Erzincan attended the event. Deputy Undersecretary Ahmet Yücel underlined that Erasmus + programme represents the fundamental philosophy of European integration which is "living and studying together". On the occassion of the Erasmus+ meeting in Erzincan, Erasmus+ beneficieries came together with the representatives of Ministry for EU Affairs and the EU Delegation and shared their experiences. The Erasmus + Programme has been enriching lives for the past 30 years. Turkey has been successfully participating in the programme since 2004 and 427.000 Turkish citizens have benefited from the Programme till today.